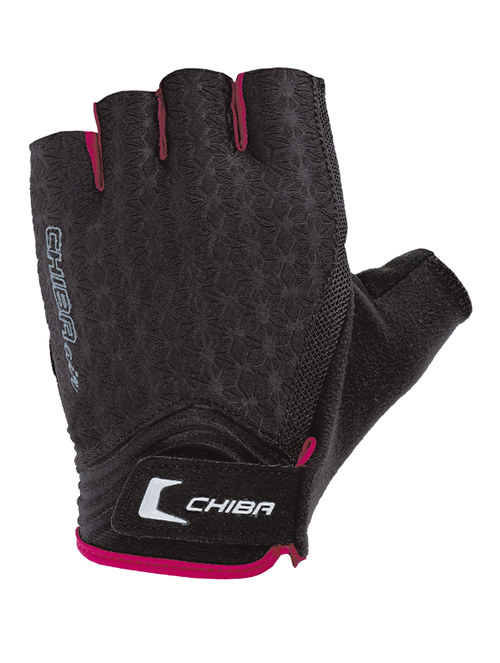 Chiba fitness gloves for women such as the Chiba Lady Air would impress you with perfect fit and the outstanding materials that are manufactured with utmost care. When producing our fitness gloves for women, we attach greatest importance to the anatomy of the female hand. Only if they perfectly fit, the fitness gloves for women provide optimum protection and perfect grip. The Chiba Lady Air fits like a second skin; it is extremely breathable, light-weighted and thus the perfect companion for gymnastics and any other kind of fitness exercises. In addition, it is particularly gentle to the hands, avoids the formation of cornea and blisters and provides for optimum hand hygiene. Its strength is the padded palm, which allows handling heavy weights easily. During the fitness exercises, the Lady Air supports the wrists and provides for a good grip in all training situations. The palm made of Airmesh is particularly breathable and nonetheless provides for lots of stability. Of course, the look is crucial for fitness gloves for sporty ladies: Therefore, the Chiba Lady Air is available in the trendy colours white, petrol and pink, each with a black palm. These robust ladies’ fitness gloves are washable at 30 degrees. Conclusion: Chiba fitness gloves Lady Air Makes even hardest exercises a pleasure.